I finished the first of my Dragon Crystal socks by CookieA. The pattern is definitely 3-dimensional. They are fun to make, and will be funky to wear. Marilyn from my knitting group was concerned that the bumps would show through my pant legs (not with jeans), and my friend Michelle thought that they would be good for bunions if you strategically placed the bumps. 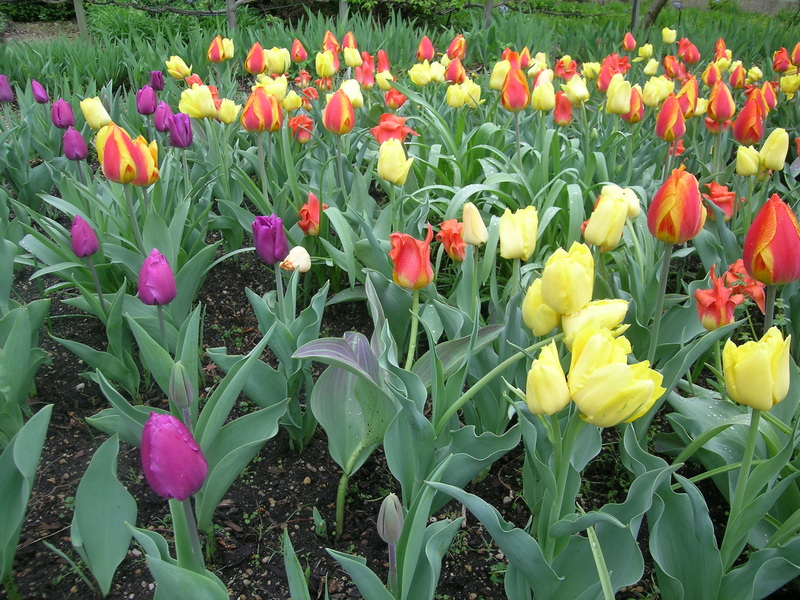 These are definitely for me, I love the color, and others might be put off by the bumps. 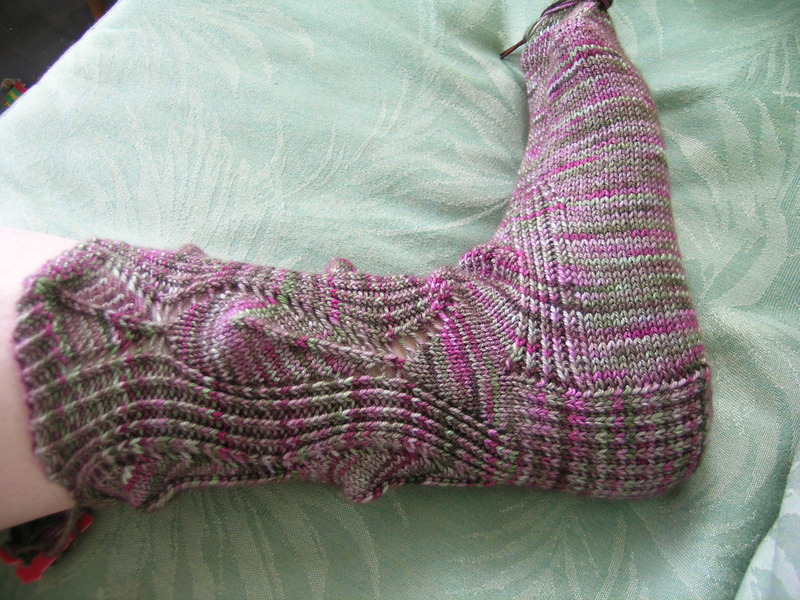 Look at the unique gusset, all of the decreases took place on the top of the foot. 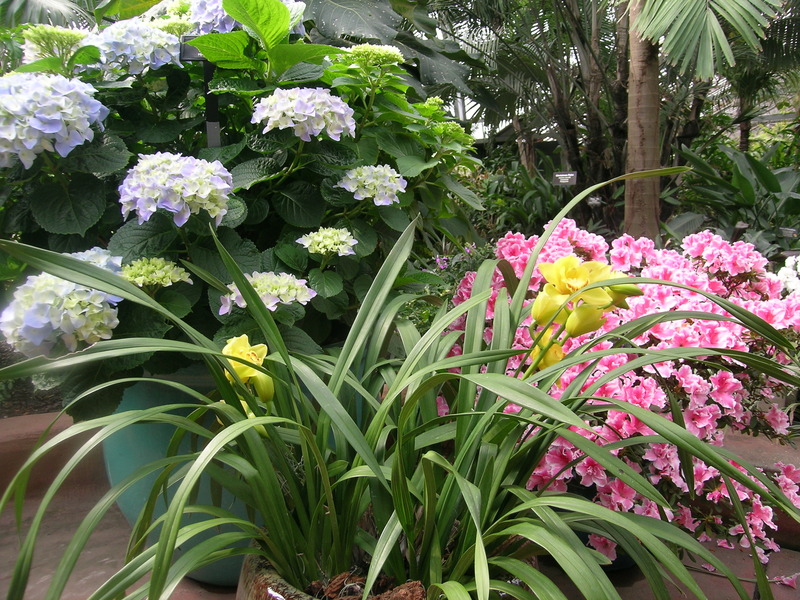 Last week I took a friend to the Garfield Park Conservatory. They have most repairs finished on the main spaces from the horrific hail storm last summer. 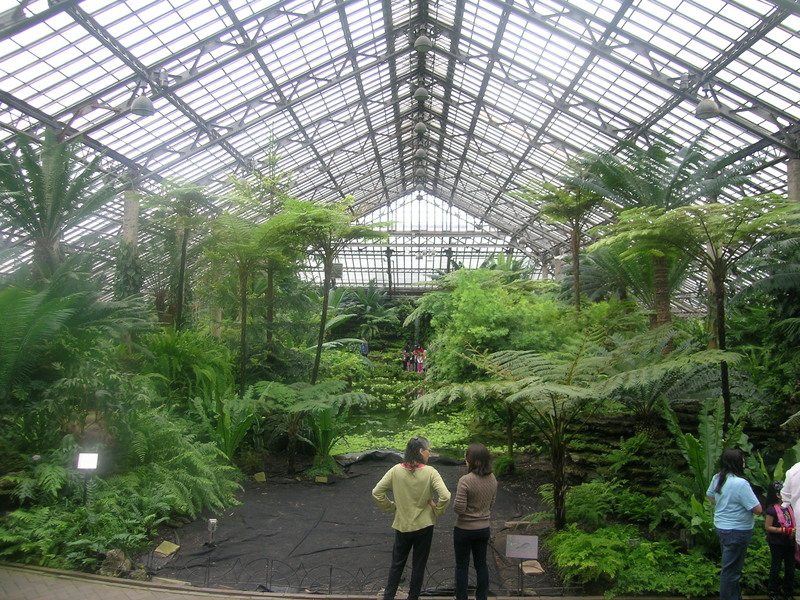 The fern room in particular took quite a hit on the plants, and it is being replanted, so sparse in some locations. 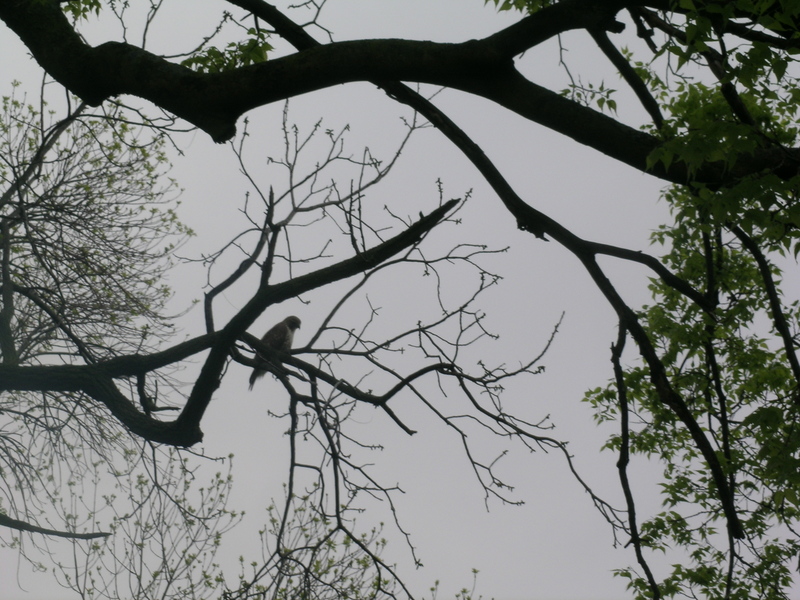 And we saw a Peregrine Falcon outside in the gardens. Beautiful bird. 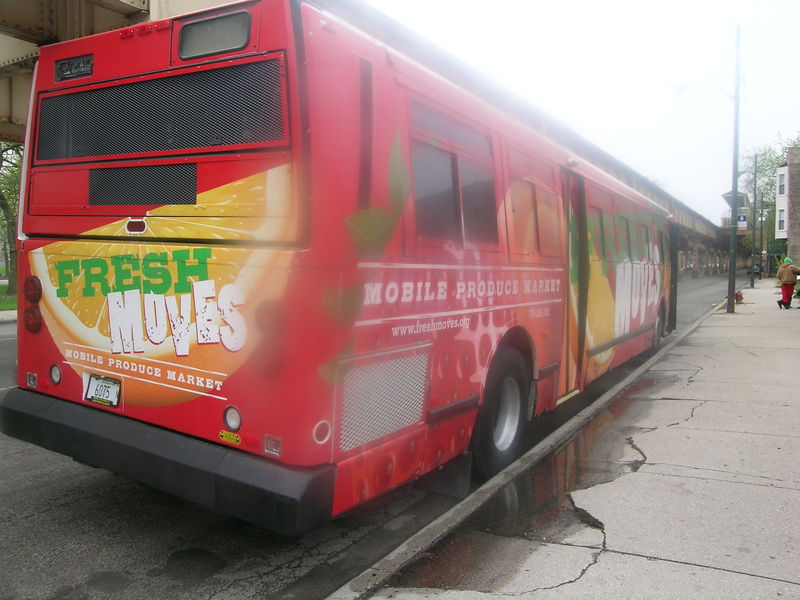 And on our way to a wonderful lunch, just down the street, at Inspiration Kitchen (highly recommended, local produce and a unique training program + helping feed the hungry), we saw this produce bus, Fresh Moves, that goes from different food desert areas in the city to get fresh produce to residents. What a fabulous idea! They retrofitted an old Chicago Transit bus. What a wonderful entry – wish I was there with your girls! 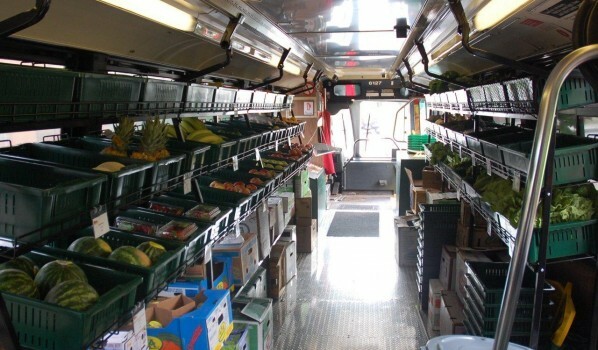 And I love the fresh produce on the bus being delivered to people! I really love many aspects about your socks: the color of the wool, I LOVE that heal, but I still don’t think that I would like the bumps…… I guess the real test will be when you wear them and you see if those bumps make them not stay in place. Thanks! I need to finish the other sock now, since I mostly wear them around the house the bumps will just be a bit of fun. The yarn is very nice.